DescriptionMotorola digital video baby monitor. You're renting an appartment in Paris? or staying in a hotel? 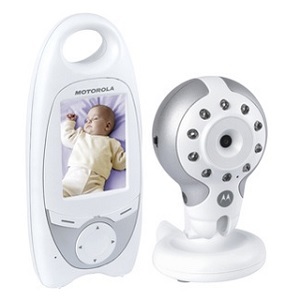 Baby will go to sleep early, this Motorola video monitor will allow you to enjoy relax times during his nap or night by beeing able to watch baby continuously. Easy to use, infrared vision for clear images even during the night, VOX function to hear baby or see him only. Rent a baby cot for your stay, add this video monitor and you'll be set to enjoy fully your stay in Paris. As for all our baby equipment rental in Paris, we deliver this monitor to your place, on appointment.